Sometimes your sweet tooth wants some carbs and that’s when donuts are your perfect pick. Yet, if you’re going to cheat on your diet and pluck up those calories, you may as well do it for something worth it. As Dr. Leslie Tay of the ieatishootipost blog in Singapore likes to say, “don’t waste your calories on yucky food”. 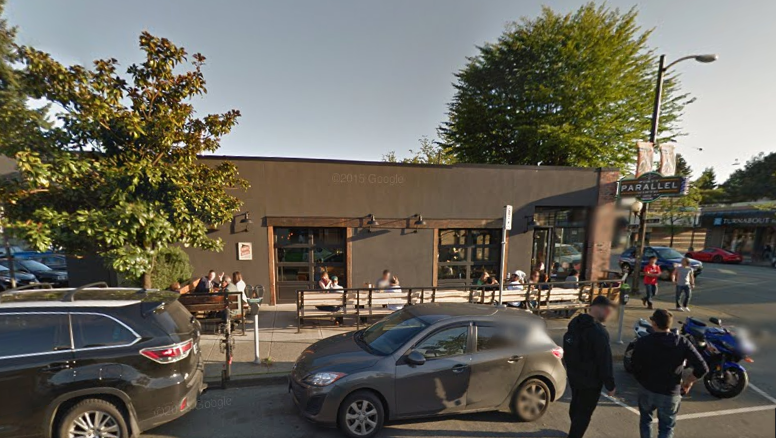 1) Cartems Donuterie: Cartems is without a doubt, hands down, the best donut Vancouver has to offer. 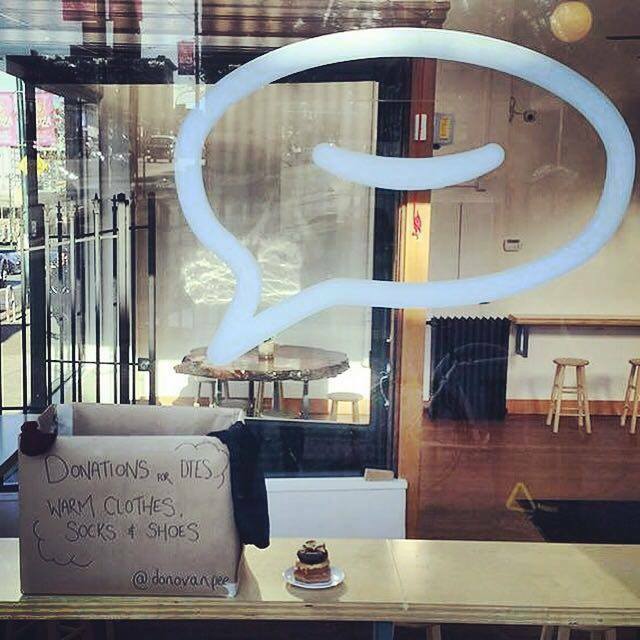 It’s a cool donut shop in Gastown at 534 West Pender. The small nook is nestled between some shops. The Donuterie is known for their unique flavors like the infamous Canadian Whiskey bacon or the one I’ll be trying next time, “triple chocolate threat”. The ingredients at Cartems are source as locally as possible among other things. Beyond their upbeat logo is also a friendly person happy to strike up a conversation and make you feel welcome as you enjoy your cup of coffee and savor the $3 donut in their small but brightly colored shop. A view inside Cartems Donuterie. This shop is typically busy with events. 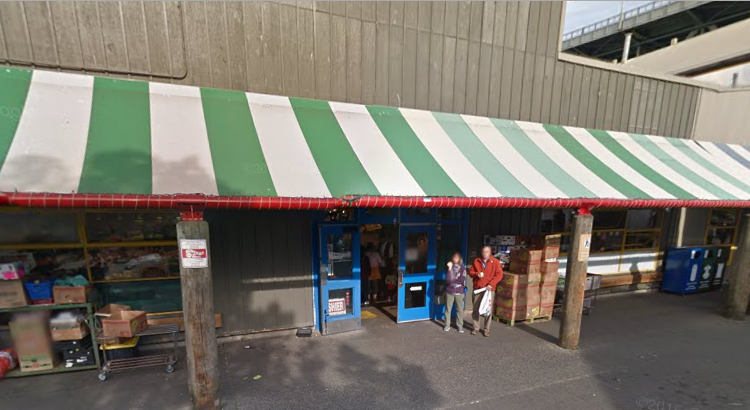 2) Lee’s Donuts: It seems like a really unassuming store by an exit at Granville Island market but don’t be mistaken, these donuts are easily the best in Vancouver. You have your typical honey dip, chocolate, and maple glaze – the staples. Although there are also more flavors like honey dew, Bavarian cream, or dutch chocolate. Fancy! 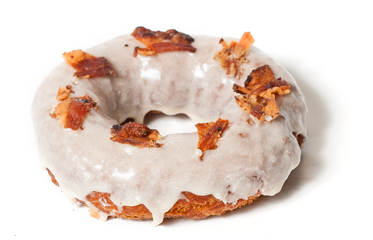 I think once I even tried their maple, bacon doughnut about two or three years back? 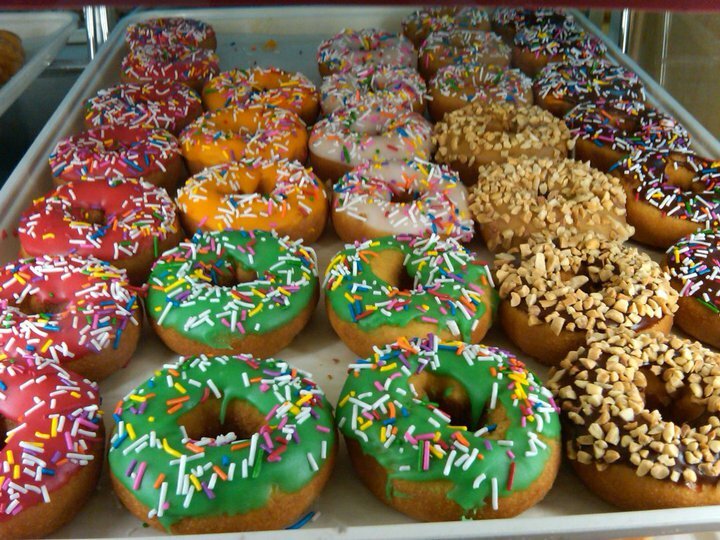 Anyways, the point is that Lee’s Donuts have been esteemed as a fine donuts establishment for a long time, well before Cartems and Lucky’s came about (as great as they are). There may be the occasional times you end up get a room-temp donut though if you come in the peak periods, the donuts are typically freshly fried and incredibly delicious. Service is typically good. 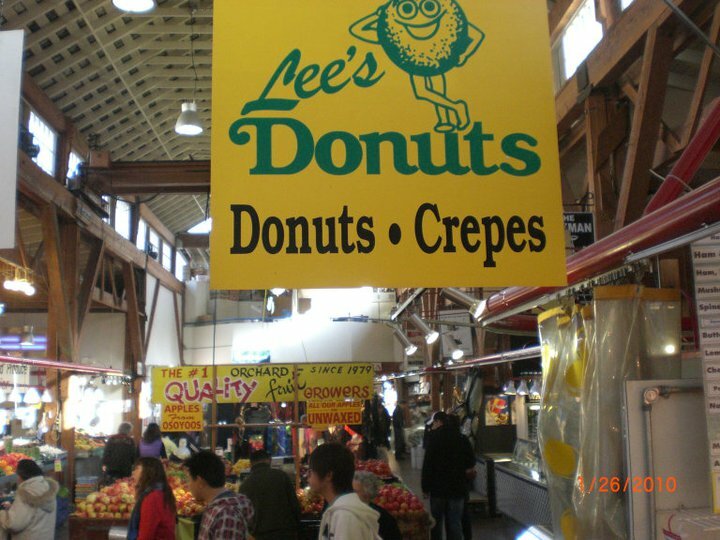 Lee’s Donuts as displayed at Granville Island. 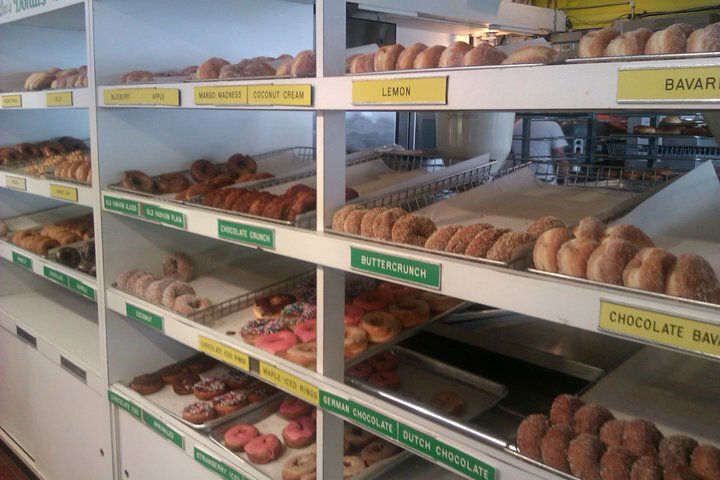 Picture from Lee’s Donuts. Enter here for delicious donuts! 3) Lucky’s Donuts: Lucky’s Donut is a product of 49th Parallel Coffee Roasters which is also on our list for the best cafe in Vancouver. The donuts ring in at about $3.50, much like Cartems. They have a coffee and donut combo running at $5 for 12 oz of freshly brewed caffeine with any doughnut of your choice. Once again liken to Cartems Donuterie, Lucky’s Donuts are infamous for their unique and extravagant flavors such as Creme Brûlée, salted caramel, PB&J, or how about apple bacon fitter? 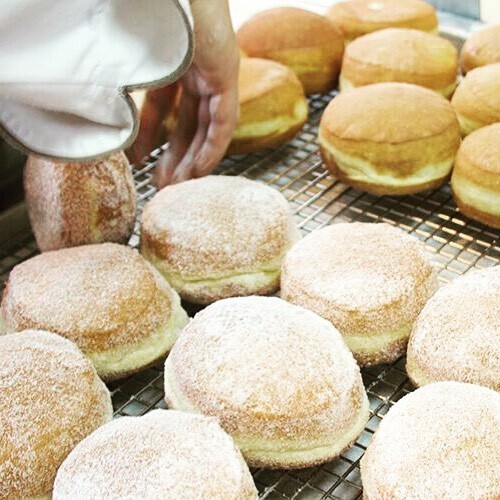 Lucky Donuts once again emphasizes on natural ingredients for donuts that are freshly made throughout the day. Who could complain with that? They found their start on twitter in June 2012 after years of intent and months of construction as noted on their website to build out the artistic location where Lucky’s Donuts is right now on Main St.
How’s this for themed donuts? Delicious Sakura donuts only at Lucky’s Donuts in Vancouver, BC. Glorious donuts at Lucky’s Donuts. How about starting your day with one and a freshly brewed cup of 49th parallel coffee only $5. Outside Lucky’s Donuts store in Vancouver, BC. Can you believe this use to be a laundromat? Courtesy of Google Earth. 4) Duffin’s Donut: In Vancouver, there aren’t many places you go for a late night supper. That is unless it’s Duffin Donuts. Duffin’s Donuts is a unique establishment in Vancouver that serves donuts along with Chinese food, Mexican food, and a host of other cuisines on their diverse menu…24 hours! Their menu may even be as international as Vancouver. 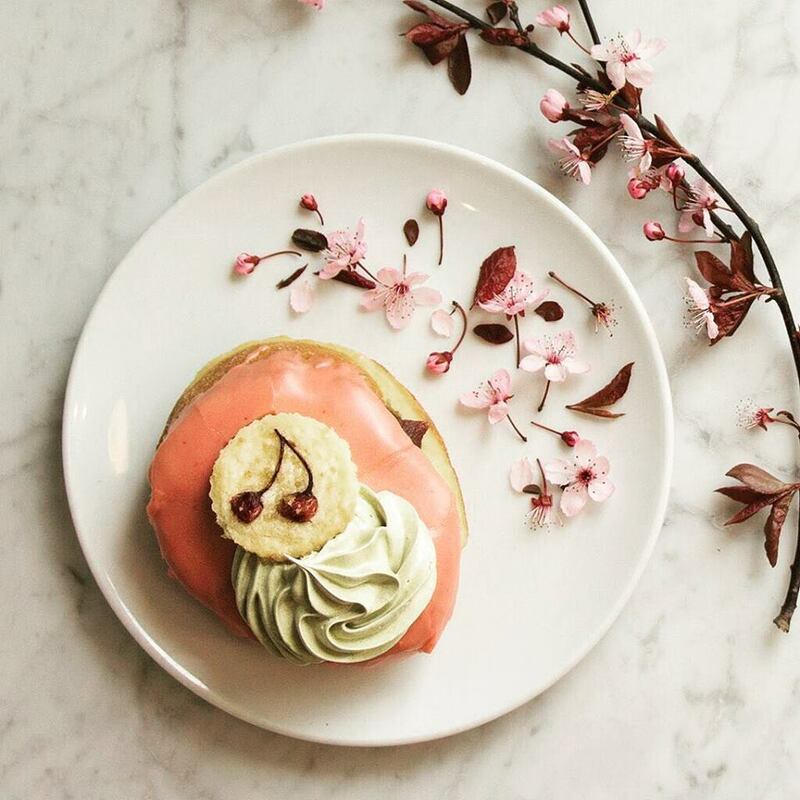 To imagine they offer this 24 hours, round the clock is quite an achievement, well deserving of our top 5 list for the best donuts in Vancouver. While the donuts are good, they aren’t the fancy types like Cartems or Lucky’s. You may as well grab your bubble tea and Chinese take out while you venture to this shop at the cross roads of Knight and 41st Street. 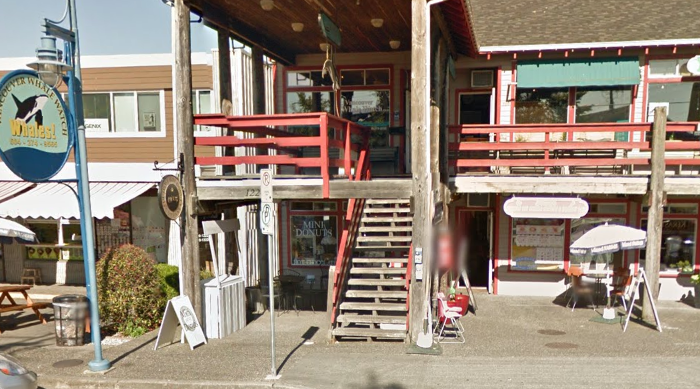 The exterior and shop itself may have seen better days, but the heart and soul (the food) is still on par. If you can’t decide between Chinese food or donuts, then your pick is Duffin’s Donuts because you never know when you might want fried chicken, donuts, hot tortas, and bubble tea in one go! 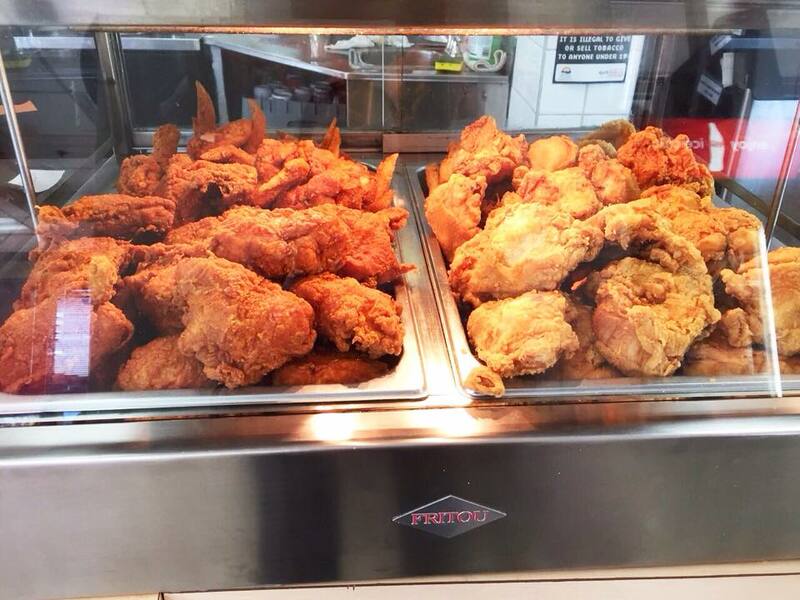 If you’re going to grab some donuts, you may as well do it right with some fried chicken? 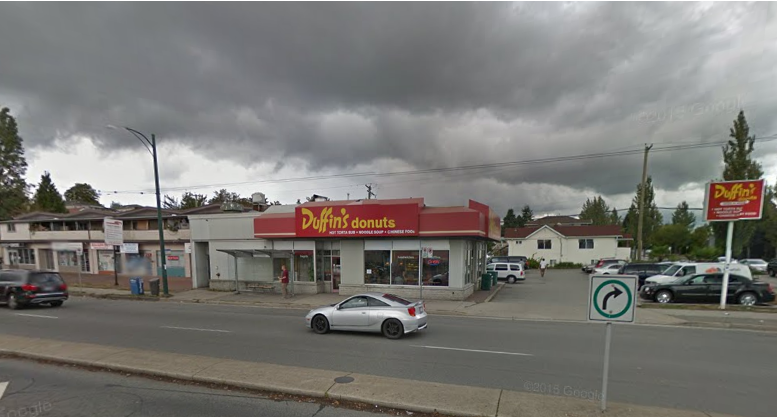 Duffin’s Donuts – A Vancouver establishment inclusive of the rain clouds. Truly Vancouver. 5) Outpost’s Mini Donuts: Outpost’s Mini donuts is out of the way at Stevenson but while you’re there, grab some fish n chips from Pajo’s or pizza from Steveston Pizza Co.
Outpost’s donuts puts a unique twist to the traditional mini donuts you see at carnivals and events. The cake donuts come in seasonal flavors (which at the moment includes Lemon, Bluberry, Boston Cream, Raspberry Chocolate, and Coconut). The prices here are much easier to digest; it’s only $7.50 for a baker’s dozen (13) and $4.75 for half a dozen. Outpost Mini Donuts are located in Stevenson, right by the Fisherman’s Wharf. 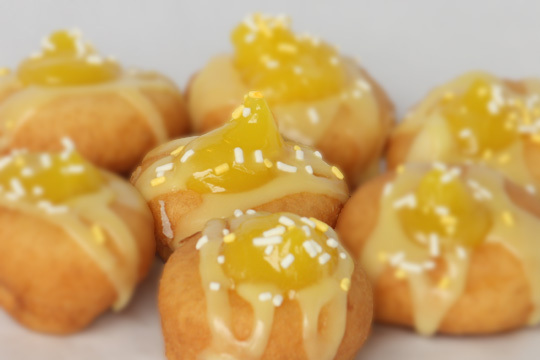 See the mini donuts here. There you have it, the best donuts in Vancouver as rated on VancityAsks.com. It’s pretty much a consensus that these are the best donuts in Vancouver (#1-4 namely). As far as fancy donuts goes you don’t have many choices in Vancouver. Thankfully there’s Tim’s and you know we like giving away Tim Hortons gift cards on this website because we enjoy Tim Horton’s so much (how can you not? It’s like a Canadian staple especially if you grew up in the East). Their donuts are not half that bad also. Share your feedback or suggestions in the comments bellow! Random Fact – Ever wondered why Baker’s Dozen was 13? Where did it come from? Looks like Subways could learn a thing or two. Never really liked Subways myself anyways. Swiss Bakery – Hands down the best cronut in Vancouver. It was initially the brainchild of a New York baker, Dominique Ansel back in 2013. It’s what happens if a donut and a constant had a child; you got the best of the fluffy, buttery texture of a croissant with the sweet-tooth toppings of a doughnut. 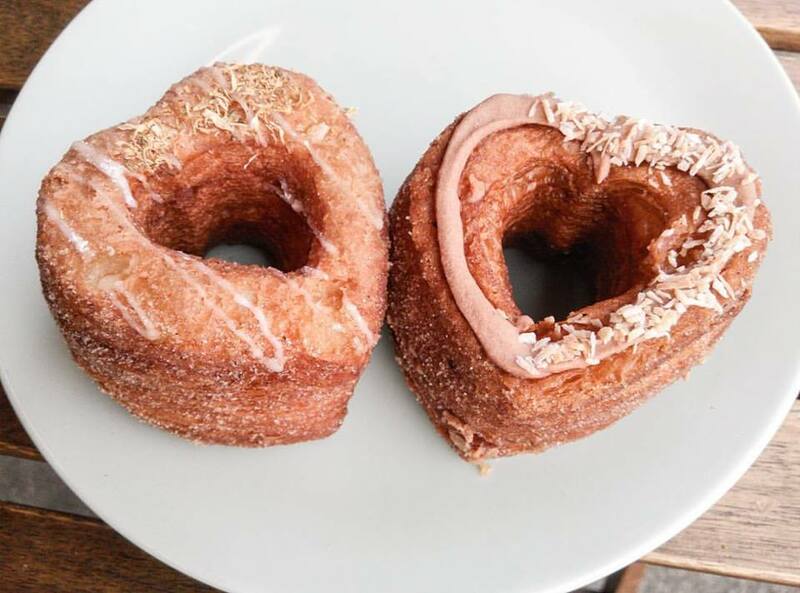 The name cronut is actually even trademarked by dominique so Swiss Bakery calls theirs a frissant. I care not the name so long as it’s good. Chocolate heart shape frissant which is basically Vancouver’s version of a donut+crossiant breeding. Chewy Junior – Ah Chewy Junior. You see this store all over Singapore at City Hall Raffles shopping center and most other major shopping centers. It’s pretty much like a chewy donut but better. You have the crisp crunch on the outside with a chewy center (not like under cook dough but uniquely satisfying) typically with a creamed filling. It’s great if you’re looking for a doughnut with a little more bite. Not really a donut but still deliciously hits the spot. Thankfully it has made it’s way around to Vancouver at 508 West Cordova Street right outside Waterfront station to your left. It looks way better in person BTW. 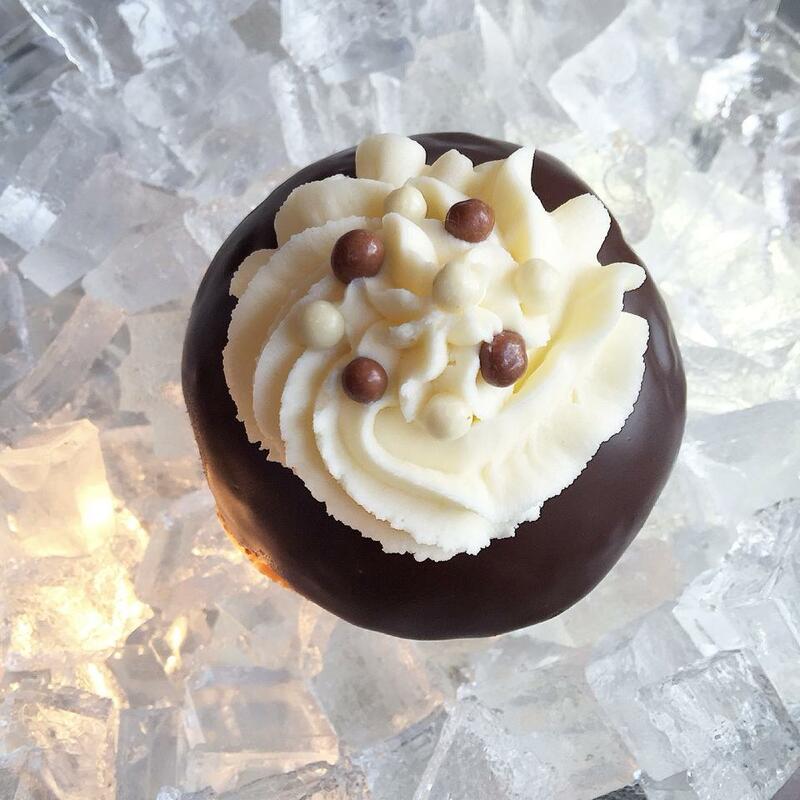 Give Chewy Junior a visit at 508 W Cordova.